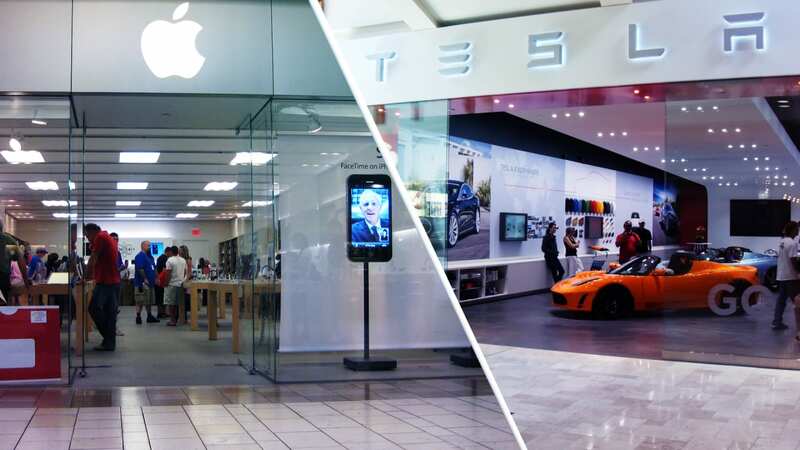 Although Apple and Tesla are some of the hottest brands around, they can't stop the mall. Not even Eataly's promise of wine, cheese and fresh focaccia can get people to shopping malls. Analytics firm Thasos has just released a new report showing that foot traffic at US malls has declined since August saved for a slight uptick during the holidays, CNBC reported first. Although landlords claim particularly strong brands such as Apple and Tesla, offering them dear lease offers in the hope of increasing consumer traffic, it may not be a good investment. Thasos data show that large name stores and so-called experience camps such as Italian food marketplace Eataly, who do not use their brick premises for only sell products, are not enticing customers at a rate that would make it worthwhile for landlords whom they allegedly do not have drawn in extra traffic. According to CNBC, "indoor malls with" experienced "tenants did not benefit from larger shopper traffic over the year compared to indoor malls without any of the unique, casual tenants." In addition to Thaso's data, Coresight reports Research's real estate agency that just four months to 2019, US dealers have announced that they will close 5,994 stores while opening only 2,641. And the retail apocalypse continues ….